ooooh. 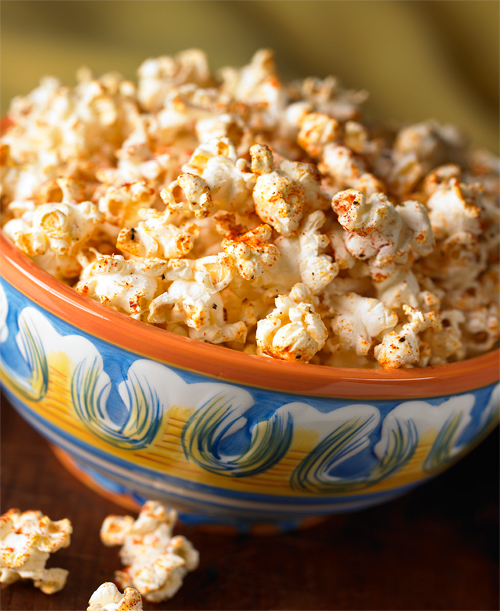 Cajun popcorn! Looks like crunchy goodness. I agree with Foodgazing, your photo is really nice and sharp. This was delicious. Thank you so much for an awesome recipe. We will definitely be making this again. My husband and I downed the whole bowl in one sitting. I couldn’t get enough! That’s why I must make it, of course. I like all of the spices you added to this popcorn. Your popcorn photo is very nice. Please consider submitting this photo, and some of your other shots (they are all quite good) to http://www.FoodGazing.com which is a new site just launched two weeks ago. We are looking for outstanding food photos. We are checking into the baking time for you and I will add it to the recipe. Check back later today! Sorry it has taken so long to get you the baking time, but here it is! Just bake 5 to 10 minutes, stirring once. Let us know how you like the recipe!